Then we have to wonder what caused the color change. 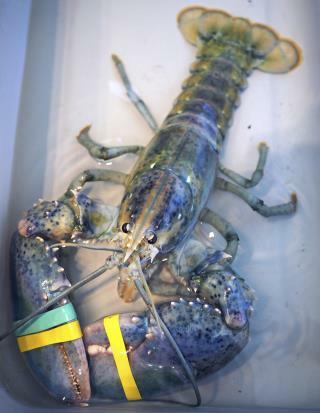 I wonder if this lobster will be ridiculed, shunned and murdered by other lobsters because of body color? I've seen one of these crustaceans in person. It was indeed a Smurf-like hue. Very attractive.